Mix a mild detergent solution in a cup of cold water. Dip a cotton swab in the solution and bring it into contact with a hidden seam of the clothing. Take note of how the affected area reacts to the mixture. If the dye leaches out, that is a strong indicator that you should only dry-clean the saree. If not then hand washing should do no harm which leads us to our second tip. Rinse the wet saree by gently squeezing the surface. 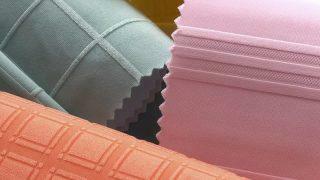 Do not wring out the material as this can easily damage the embroidery and the delicate patterns. Now take an absorbent towel and roll up the clothing in it before gently pressing down from the outside across the surface. Unroll the towel then switch it over to the other side before doing the same thing once more. Repeat the process a couple of times until all the excess moisture is done away with. Afterward, hang the material in a windy place away from direct UV light from the sun which can cause the colors to fade and trigger the delicately woven parts to come apart. Spot treatment is the kind of washing or cleaning where you focus your efforts on a singular stain-infested area. It is an effective technique but for such silk materials, it is ill-advised as it can easily cause lighting of the focused area. To get around this, wash the garment in its entirety for moderate stain removal but for a much larger problem, it’s prudent that you take it for dry cleaning. Set out a soft yet sufficiently firm backdrop which you can achieve by laying a clean and dry towel against a regular ironing board. Iron as you would other clothes, however, remember to use an iron box suited to delicate fabrics and, even then, keep the temperature at the lowest possible settings. Be careful that the temperature remains relatively hot to the touch throughout and in case of the formation of water stains, simply submerge the saree in cool water and let it dry anew before starting the process once again. 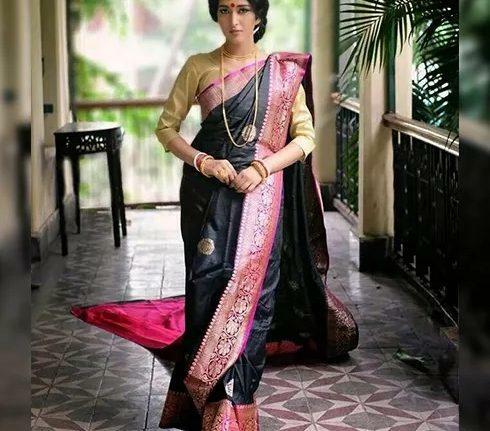 A Muslin is simply a plain weave cotton fabric that allows clothes to breathe and such a bag provides ideal storage for the Banarasi silk saree as it allows for the free flow of air. Consequently, this unrestricted circulation prevents the unfavorable accumulation of humidity which can lead to dampness and deterioration of the material. Whilst we’re still on the matter of storage, it is worth pointing out that you need to store the saree exclusively on its own as stacking it up with others can ruin the smooth texture. Avoid metal hangers like the plague as they are susceptible to corrosion which can leave permanent stains on the sensitive surface. Prioritize plastic alternatives instead which are easy-to-reach solutions that are not detrimental to the integrity of the fabric. There you have it folks, a couple of pointers on how to ensure your mother’s sarees will be around for a long time to come. Long enough for them to be the Banarasi wedding sarees that your daughters and theirs after that can wear on their big days down the aisle.